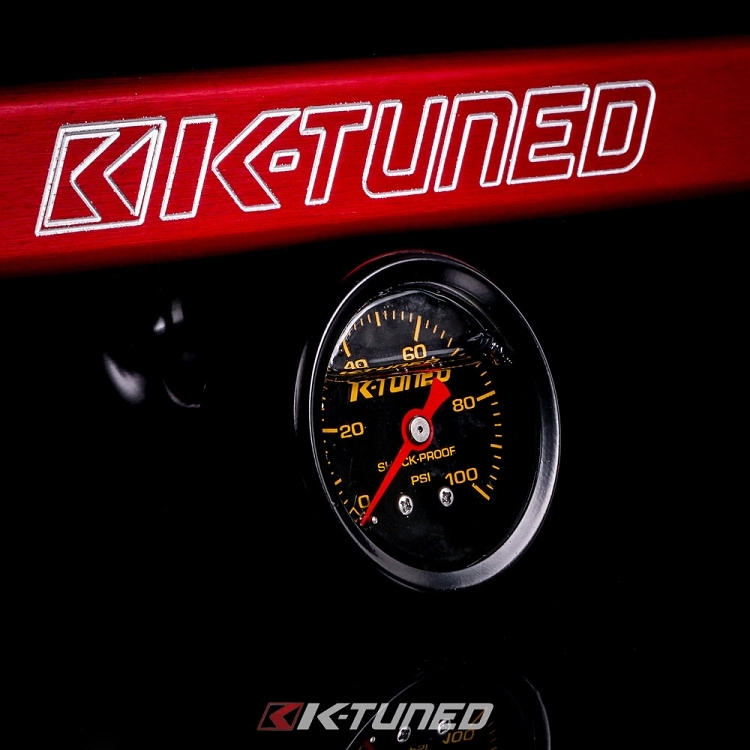 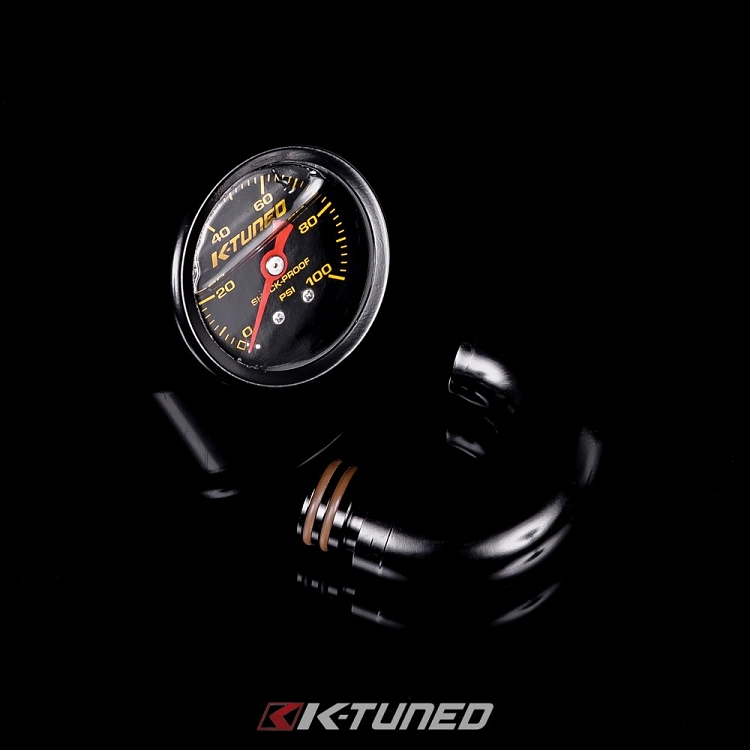 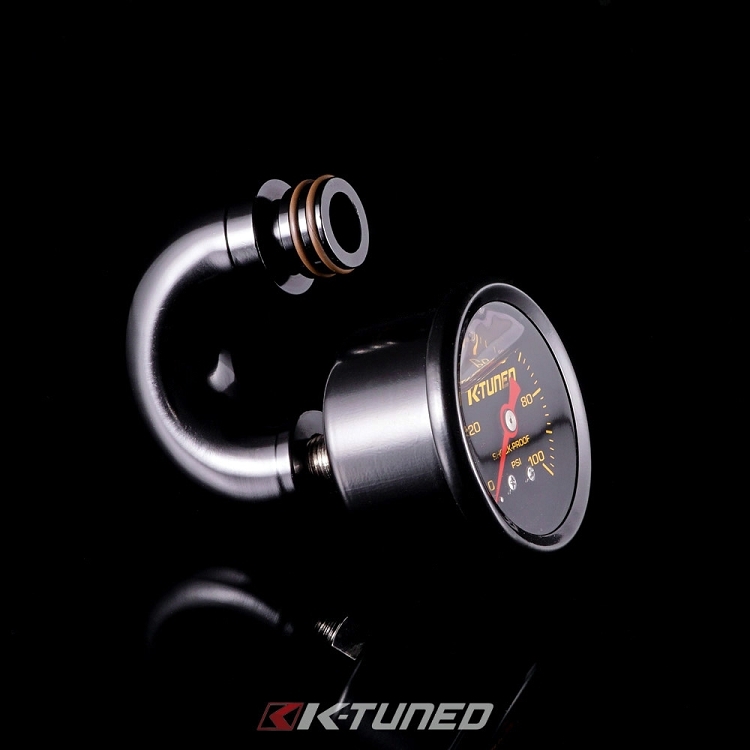 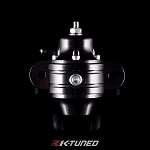 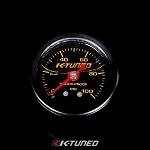 K-Tuned has designed a one piece fitting that uses the existing center port on our rail to properly mount the fuel gauge in the center of our rail just below the K-Tuned logo. 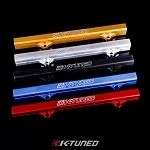 The resulting look is very clean, compact and is very easy to install. 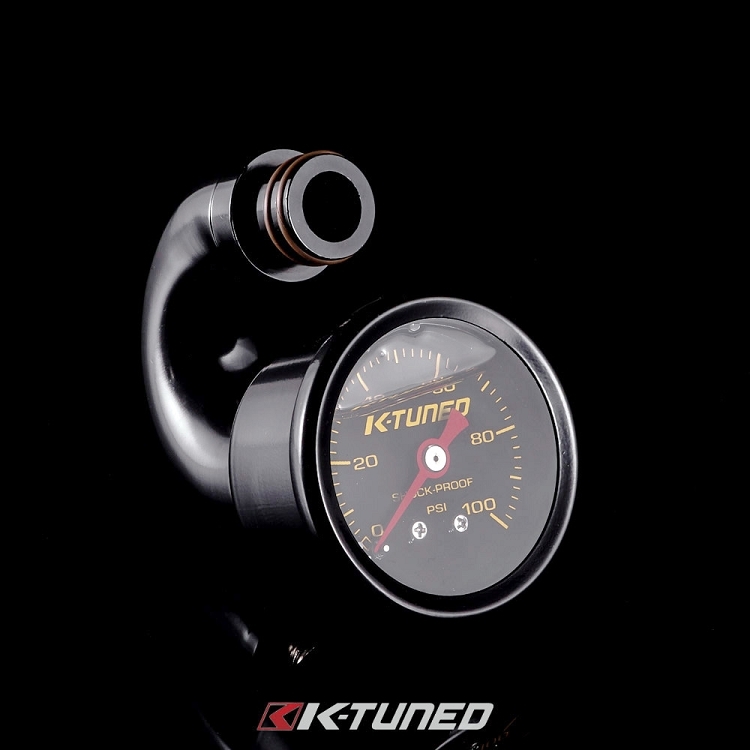 The fitting is soft mounted on the underside of the rail with o-rings, to eliminate the possibility of dangerous fuel leaks caused by the vibration of the engine unlike other rails where the gauge is hard mounted.